(Nanowerk News) For five months in mid 2017, Emily Mason did the same thing every day. Arriving to her office at NASA's Goddard Space Flight Center in Greenbelt, Maryland, she sat at her desk, opened up her computer, and stared at images of the Sun -- all day, every day. "I probably looked through three or five years' worth of data," Mason estimated. Then, in October 2017, she stopped. She realized she had been looking at the wrong thing all along. 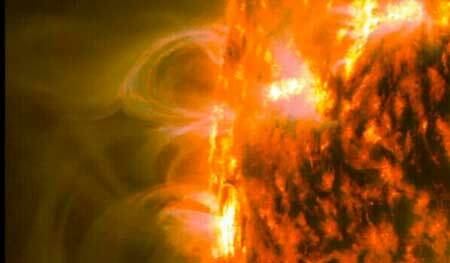 Mason, a graduate student at The Catholic University of America in Washington, D.C., was searching for coronal rain: giant globs of plasma, or electrified gas, that drip from the Sun's outer atmosphere back to its surface. But she expected to find it in helmet streamers, the million-mile tall magnetic loops -- named for their resemblance to a knight's pointy helmet -- that can be seen protruding from the Sun during a solar eclipse. 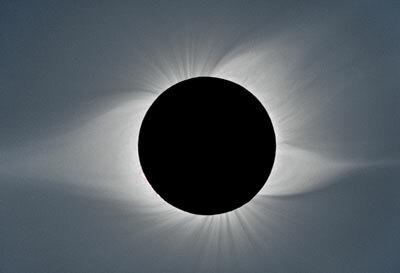 Computer simulations predicted the coronal rain could be found there. Observations of the solar wind, the gas escaping from the Sun and out into space, hinted that the rain might be happening. And if she could just find it, the underlying rain-making physics would have major implications for the 70-year-old mystery of why the Sun's outer atmosphere, known as the corona, is so much hotter than its surface. But after nearly half a year of searching, Mason just couldn't find it. "It was a lot of looking," Mason said, "for something that never ultimately happened." The problem, it turned out, wasn't what she was looking for, but where. In a paper published today in the Astrophysical Journal Letters ("Observations of Solar Coronal Rain in Null Point Topologies"), Mason and her coauthors describe the first observations of coronal rain in a smaller, previously overlooked kind of magnetic loop on the Sun. After a long, winding search in the wrong direction, the findings forge a new link between the anomalous heating of the corona and the source of the slow solar wind -- two of the biggest mysteries facing solar science today.